In the old days – meaning 20 years ago – Boston eaters had but a few options for filling their pantries and refrigerators. Some could find the ingredients they needed at a farmer’s market or a co-op, but most likely, we were visiting the local supermarket, with its lines, its crowds, and its fluorescent lighting. For many locals, it was Stop & Shop, which began in Somerville in 1914 as the family-owned Economy Grocery Store before adding dozens of stores throughout New England over the coming decades. Food retail was an industry dominated by hulking, set-in-their ways supermarkets that had a captive audience for years but were begging for disruption. The Internet would not disappoint. Believe it or not, home grocery delivery can be traced back to before the dawn of the Internet. Grocery delivery pioneer Peapod was founded in 1989 as a smart shopping solution for busy families, but it came of age during the dot-com boom — with Boston was an early and profitable launching pad for the service. Then, the dot-com bubble burst, and with it nearly all of the handful of food delivery services. For the better part of a decade, folks went back to the old way of food shopping. The mobile revolution has inspired a newer crop of companies offering the delivery of food to our front porches. The backdrop against which all grocery delivery solutions will be measured was set last summer when ecommerce giant Amazon acquired traditional organic grocer Whole Foods. The union is expected to bring, at some point, a push by Amazon into the food retail space that could upend the industry. In the meantime, Instacart, though headquartered elsewhere, continues to make inroads with local supermarket chains with its fleet of personal shoppers and checkout-to-porch grocery delivery service. Several locally owned companies are making their presence known as well. The local veteran in this space, Boston Organics has been providing organic food deliver to homes and offices for more than a decade. Just Add Cooking, which launched out of Dorchester’s Commonwealth Kitchen, has emerged as a local leader in the meal kit delivery space, sourcing its ingredients regionally and partnering with local celebrities and chefs on recipes. Al-FreshCo provides locally sourced vegan meal kits to Boston households, most of the deliveries being made on bicycle. Compared to older shoppers who are more brand-loyal when food shopping, Millennials tend to seek a wider field of smaller brands when picking out what to cook and eat. While many Millennials will still purchase products from larger companies, these days, they are especially drawn to foods with particular stories, ingredients, and other specifics that let them “shop their values.” Food companies are obviously capitalizing on this, but so are curators of these specialty brands. Nibble Snack Shop’s Joyce Lee (a Branchfood community member) searches high and low for the perfect mix of snacks from up-and-coming companies for her Cambridge tasting room and occasional pop-ups around the city. Think of Nibble as both brand ambassador and retailer, and Lee has found a niche selling to munchy office-dwellers in Cambridge and Downtown Boston. Food curators need not be brick and mortar businesses, however. Boston-based Small Batch Daily uses its popular Instagram account to sell one new artisan product per day with enticing photography fitting of the social media site. How does it work? Users follow the SBD account, sign up online, and type “sold” in the comments under products they want to try. Several local companies have made it their mission to help food retailers sell more of their products, more efficiently. The Cambridge-based ThirdChannel platform utilizes retail execution to help retailers manage their merchandise and integrate digital platforms into the brick-and-mortar environment. Another technology, Survey.com – headquartered in Boston – harnesses the power of a digital app and fleet of merchandising experts to assist retailers to conduct retail audits, manage merchandising, and conduct mobile market research among consumers. Boston-based Revenue Architects does exactly what its name suggests: convenes experts in marketing, sales, and public relations to assist businesses build models for revenue growth. 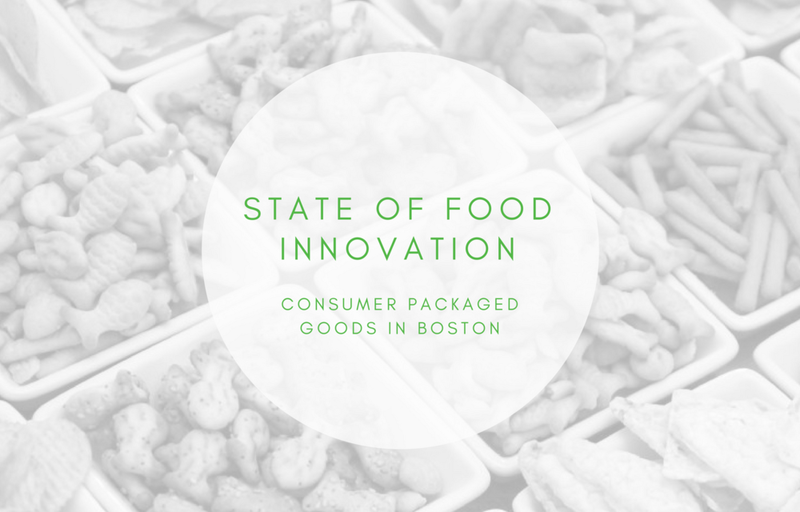 Finally, Repsly, headquartered in Boston’s financial district, is a mobile app used by field teams to manage sales, track inventory and prices, and collect and organize data to grow brands – including many in the food and beverage space. We’d be remiss if we didn’t include in our discussion of food retail direct sales by farmers to consumers. More than 167,000 farms now market and sell the food they produce directly to consumers, resulting in $8.7 billion in sales in 2015, according to the United States Department of Agriculture. New England’s farmers, ranchers, and producers do so in a number of ways, including through roadside farm stands, farmer’s markets, and Web-based marketplaces trading in local food. The Boston Public Market, an indoor, year-round food hall and marketplace that opened to much fanfare in 2015, features a few dozen regional producers selling diverse products like beer, ice cream, meat, produce, and chocolate. The centrally located BPM has become a centerpiece of the city, attracting both tourists and locals to a space that showcases the region’s rich culinary bounty. And finally, supermarkets. Despite all the flux in food retail, that legacy model isn’t dead. Far from it. In some cases, these legacy institutions are, in fact, adapting to changing times. Examples include Albertson’s purchase of New York-based meal kit delivery service Plated, or supermarkets’ expansion to ecommerce. Technology company MyWebGrocer – whose web marketing division is located within Branchfood coworking community – provides the support and digital platform for traditional supermarkets to enter the e-commerce space. Cambridge startup Takeoff is working to disrupt the legacy supermarket model. The eGrocery platform has partnered with Austrian robotics firm Knapp to make grocery fulfillment centers more lean and convenient, allowing consumers to quickly pick up food they’ve ordered online or via mobile apps – virtually sans human interaction. But it could be that the future of large-scale food retail looks like fewer – but more customer-centric – supermarkets. Taking a page out of the Whole Foods Market playbook (whose North Atlantic regional offices are located in Marlborough), local chain Roche Brothers lays out its new stores with comfort and aesthetics in mind and now offers a number of regional foods. Supermarkets are getting leaner and more nimble as well. Stop & Shop, owned by Dutch food conglomerate Ahold Delhaize, has launched Bfresh, a handful of smaller-format food outlets geared toward a younger, more urban demographic in Greater Boston. Despite consolidating two of its Bfresh stores and announcing a rebranding effort, it’s clear Stop & Shop and its grocery counterparts recognize that change is in the food retail air. With so many Millennial shoppers and their smart phones out there dictating the food retail trends, one thing’s for certain: we won’t be buying our food the way we’ve always done it. The Smart Kitchen Summit is the first and only event dedicated to mapping the future of food, cooking, and the kitchen. Branchfood is thrilled to be a marketing partner of the conference since its inception and we'll have someone there at the event! If you would like to connect with us, DM us on Twitter! The Summit was founded in 2015 when smart home and IoT veteran analyst Michael Wolf noticed a trend forming in the smart home space – the emergence of kitchen technology or, the smart kitchen. He realized that this unique relationship between the food we consume and create and the technology that is revolutionizing that experience was beginning to grow at an increasingly fast pace. Mike saw an opportunity to create a forum for conversation around this burgeoning trend that would bring leading voices across the various niches in smart kitchen together to share ideas and information. Now in its third year, Smart Kitchen Summit is the premier convening of leaders from technology, food, appliances, commerce and retail, and delivery and features discussions, panels, fireside chats and workshops on how connectivity, artificial intelligence, robotics and machine learning, virtual reality, design innovation and the on-demand economy will transform the consumer experience with food. In addition to conversations and presentations, the Smart Kitchen Summit features opportunities for companies to expand their presence in the industry. The Startup Showcase, a competition that seeks out the most interesting and disruptive startups in food and kitchen tech, is a place for emerging leaders to demo and pitch their ideas to an audience packed with key decision makers and thought leaders. 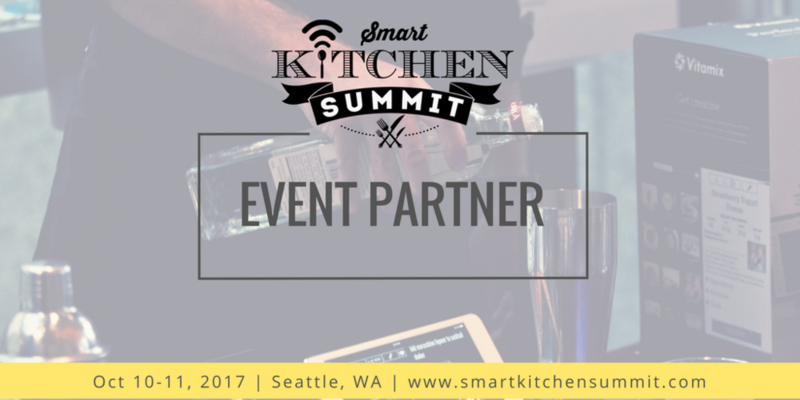 The Smart Kitchen Summit is more than just an event. With the success of the Summit came a joint venture – The Spoon, a media B2B site dedicated to covering the future of food, cooking and the kitchen through regular industry news, contributed pieces, and more. This week I sat down with another recent addition to the Branchfood space: Eliza Wentworth, a multimedia producer whose work and interests lie in and around the world of food and craftsmanship—or, as she would describe it, the world of makers. With the first snowfall, we can officially say it's winter here in Boston, and with winter comes the end of 2016. What better time is there to sit back and take a look at the past year? After all, a lot happened in the food world. There's no perfect place to start, so let's just dive in!